Ditlev Blicher, CEO Asia Pacific for DB Schenker. Originally born in Denmark, Ditlev oversees the 14,000 employees currently operating across 400 locations in 20 countries throughout the Asia Pacific region for DB Schenker. 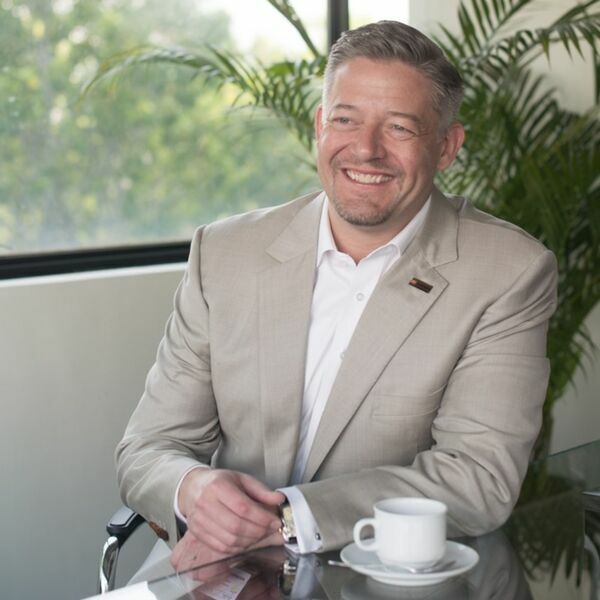 With over a decade of experience based in Asia, Mr. Blicher is no stranger to the region. Prior to joining DB Schenker, he was most recently President of Asia Pacific & Europe, Co-President Global Freight Forwarding and Executive Board Member of a multi-national supply chain management company. He received his Bachelor's degree in Business Administration from Northwood University and completed executive studies at Oxford University. Stay tuned as we cover: - Top strategic directions that DB Schenker in trying to achieve in APAC by 2020 - Which technology trends in logistics will likely make the most impact by 2020? - What are some of the most common challenges that your clients are currently struggling with when it comes to their supply chains? - Rail solutions from APAC to Europe. What DB Schenker is doing around it in the region. - What skills should logistics/ supply chain professionals be focused on to remain relevant and continue to add value to the industry in the future? - The leadership team in Schenker. What attributes are you looking for when it comes to leading the company to the next level? - As the leader of the APAC organisation, you are one of the top influencers of the organisation culture. Are there some leadership principles that you follow in your day to day work? - What is a personal habit that contributes to your success?